We offer pediatric dentistry for kids in Aurora and Denver in a comfortable and caring environment that is calm and friendly and when your visit is over, your child will leave our office with a brighter smile. 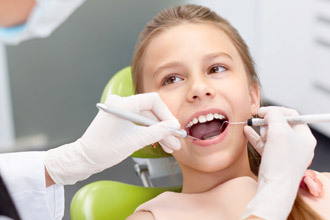 We will thoroughly examine your child’s teeth and gums, specifically looking for any potential problems. Depending on the patient, X-rays may be taken. If there are any signs of decay or other problems, we will recommend treatment options and make notes of any conditions that may need future observation. 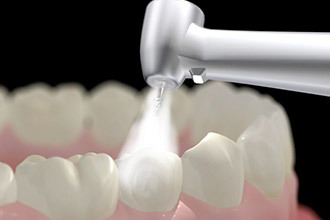 Oral hygiene instructions will also be provided along with suggestions to help you care for your teeth. 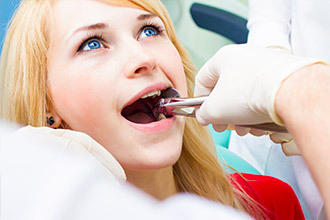 Twice a year, you should schedule a routine dental cleaning. During this visit, one of our dental assistants will remove plaque from your child’s teeth, especially from places where your brush can’t reach, such as underneath the gum line and between teeth. We will then apply fluoride to help protect your teeth once you leave the office. Silver amalgam: Silver was once the most commonly used material when it came to dental restorations, such as fillings. However, silver fillings do not have much aesthetic appeal to patients. And since these materials do not bond to enamel or dentin, amalgam restorations also require more removal of tooth structure to allow the filling to lock into place. 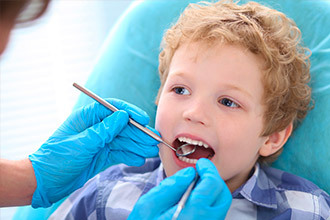 For these reasons, Epic Dentistry For Kids does not offer amalgam fillings. Sometimes silver crowns made up of stainless steel metal are needed to restore a tooth that has a very large cavity. In cases where the decay is very large, a lot of tooth structure is removed off the tooth. When a lot of tooth structure is missing a regular white filling will not hold up, and will typically fracture or break the tooth if used. A silver crown will ensure that the tooth has a lower chance of fracturing, the entire tooth is covered with a protective structure, which will minimize the risk of developing a new cavity or infection on the tooth. 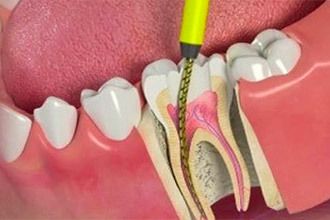 In cases a baby root canal or pulpotomy is completed on a baby tooth or primary tooth, a stainless steel crown will be needed to restore the tooth, because the tooth is now fragile and needs a restorative material which will help the tooth last longer and prevent any possible tooth fractures or decrease the risk of a dental infection from developing. In order to place a stainless steel crown on a baby tooth, the tooth is first shaved down and a prefabricated silver crown is fitted on your child’s tooth and after the correct size is selected and your child’s bite is adjusted, the crown is cemented on the tooth using a special dental cement. To help increase the longevity of stainless steel crowns, it is encouraged that patients clean along the gum line of the crowned tooth and avoid eating hard, sticky foods, such as chewing gum, gummy snacks, and jolly ranchers. 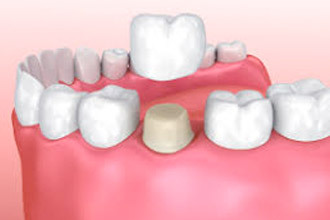 A crown is a covering that fits over an original tooth that is either decayed, damaged or cracked. Pediatric crowns are made of a variety of different materials such as stainless steel or zirconia. Once the procedure is completed, proper care should be taken to ensure the crown remains in good condition and the teeth and gums are healthy. Given proper care, your crowns can last until the baby tooth exfoliates. Epic Dentistry For Kids offers white zirconia crowns in the esthetic zone, and stainless steel crowns in the back of the mouth. A pulpotomy or pulpectomy is commonly referred to as a “baby root canal.” It is a procedure that extracts decayed pulp from inside a tooth, reshapes the canal (pulpectomy) and replaces it with strengthened filler. There are a number of reasons a pulp treatment may be necessary, including dental injuries, severe decay and infection or inflammation in the tooth pulp. When left untreated, these problems can cause extensive damage to the tooth structure and infections that can easily spread throughout the face and body. Depending on the complexity of the case, an extraction can be performed surgically or nonsurgically. A mild anesthesia is used to ensure the patient is as comfortable as possible throughout the procedure.